Watch the video slideshow of the Memorial Tour here. 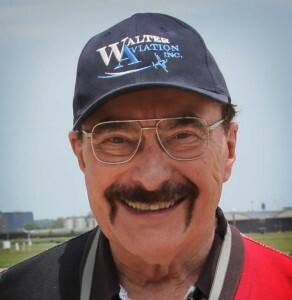 Our small group of mid-western Taylorcraft pilots were saddened to learn that, our good friend, Lee Bowden suffered a life ending heart attack last winter. Lee, a very enthusiastic supporter of aviation, loved flying his Taylorcraft across the United States. Sadly, his flying adventures have now been cut short. I was honored when Lee’s family selected me to fly Lee’s Taylorcraft as the missing man in a formation over the cemetery. In honor of Lee’s enthusiasm for flying adventures the idea of a Memorial Tour began in a conversation with our good friends and fellow Taylorcraft pilots at Lee’s funeral. We had all met in the early 2000’s at various flight breakfasts in Iowa and surrounding states. 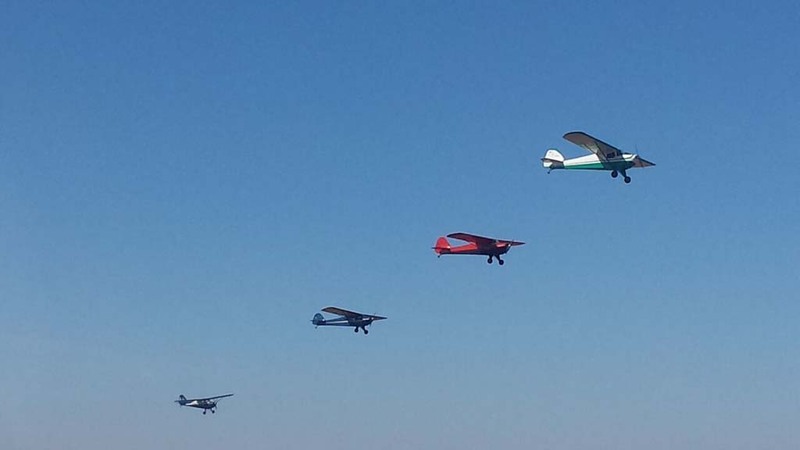 Four of us in Taylorcrafts, along with two other planes, organized a “formation” flight to Sun-N-Fun in 2002. I later flew to the Copperstate convention and began making it a point to not fly over any state without a landing. Lee and I flew to La Grange and Brownsville, Texas, on two separate trips including a short visit to Matamoras, Mexico. 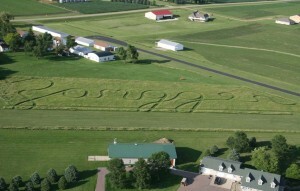 We met Mike Jones at La Grange who flew with us to Antique Airfield at Blakesburg, Iowa on our return home. Lee and I realized that we had landed in quite a few states by now, and thus the quest began. In 2005, Lee and I toured the northeastern states and, combined with our previous central and south east trips, landed in the majority of the states. 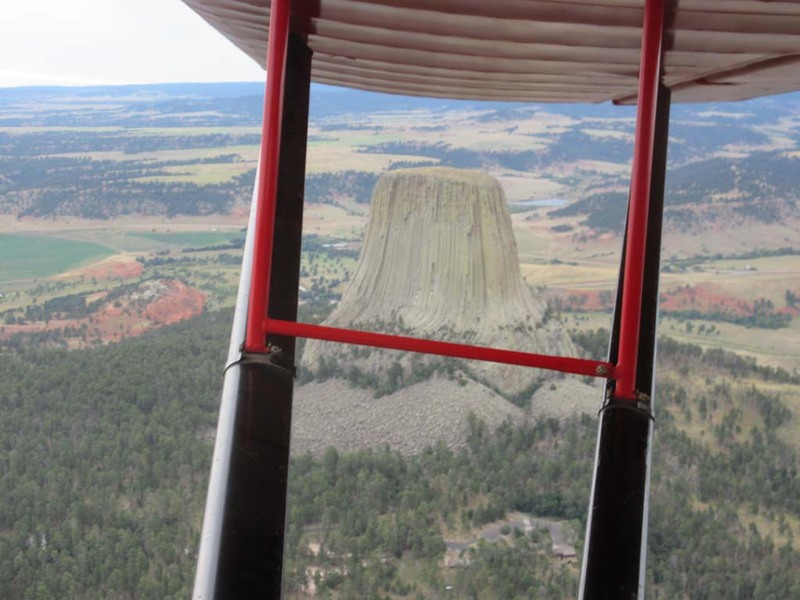 Lee was an avid participant in the “Historic Trail Flyers” group and as such had landed in a number of the northwest states that I had yet to land. At last count Lee had landed in forty-three, I had landed in forty-one. I suggested a flight that would provide six of the seven states that I needed, knowing that Lee would have surely enjoyed this tour. The planning began, knowing at the outset that this was going to be an ambitious tour. More realistically, it would become a series of short fights that made it achievable. Mike Jones, certainly up for the challenge, purchased a recently restored 40’ Taylorcraft from our good friend Carl Carson. Rob Lees is a frequent visitor to the EAA fly-in at Oshkosh, Wisconsin (OSH). We had met at OSH when I was showing my newly restored Taylorcraft. Rob is based in Leicestershire, England and owns a very nice Taylorcraft he has restored and toured the majority of the European countries with. 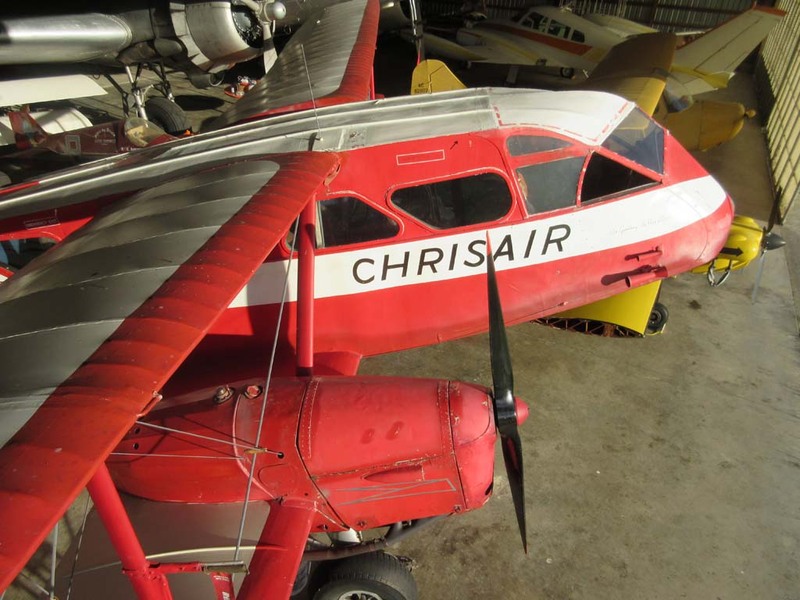 When Rob became aware of our plans, he expressed an interest as well, but he would need to find an appropriate Taylorcraft to purchase in the states for this trip. Mike was an able assistant and together they found a suitable steed that had less than 100 hours on a major overhaul with a fresh annual. The three of us were now ready for the trip. Rob returned to England after his OSH visit and flew back a month later for our tour. 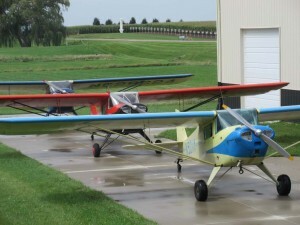 He met Mike in Illinois, and the two of them flew their Taylorcrafts to Blakesburg for the Antique Fly In. I had arrived a few days earlier as I was a vendor promoting our residential airpark in northwest Iowa. 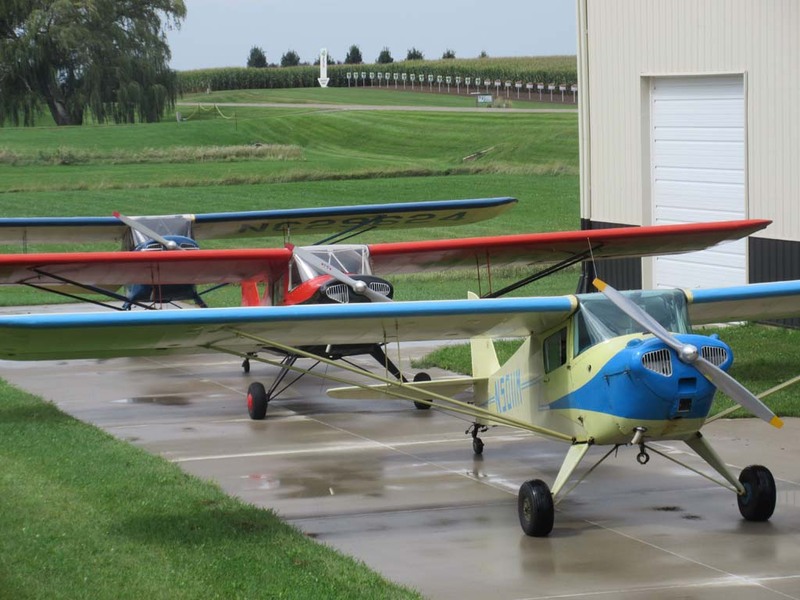 After enjoying a few days at the fly in, we headed back to Zangger Vintage Airpark in Larchwood, Iowa. Rob noticed his oil temperature was running hotter than normal, so we checked the calibration of the instrument and verified the baffles were all in place. As in any long distance trip there is always the question of what unforeseen events will occur, such as extended weather delays, hail damage if hangars aren’t available, will we be able to maintain our good health or will the planes be mechanically sound for the duration. One of our initial concerns was how the forest fires would affect our routing. Montana, Washington and Oregon had a large number of fires that were obscuring visibility. Low visibility and mountains aren’t a good combination, so we decided to take the southern route out and the northern route back. This, hopefully, would give the fires time to subside. Spearfish, South Dakota, was our first overnight (RON) and we spent two days touring the Black Hills. Being on a budget, we were fortunate to find willing Fixed Base Operators (FBO’s) that allowed us to camp in their lobbies. Our next RON was planned for Brigham City, Utah. 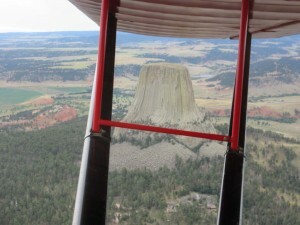 We had stronger headwinds than planned and added an additional fuel stop at Rock Springs, Wyoming. 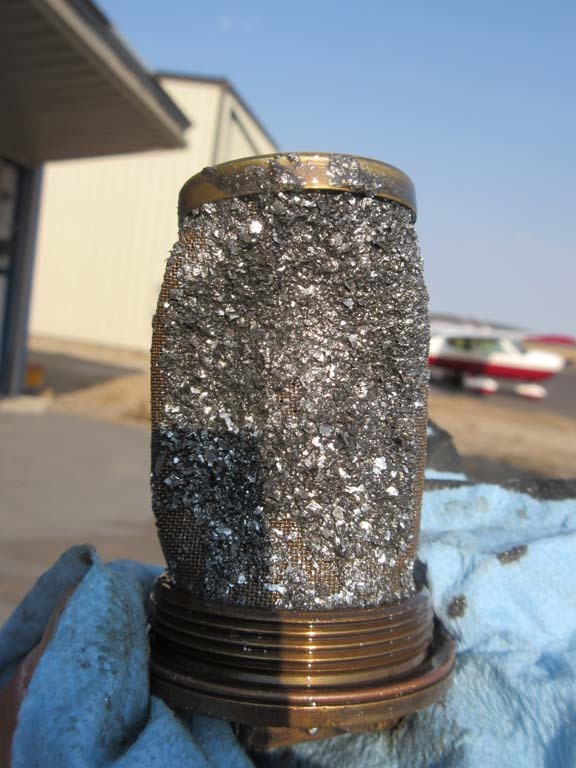 The airport elevation is higher than 7,000’ and, being near gross weight, our planes performed as expected. They were somewhat lethargic but did sustain a positive rate of climb out of ground effect. Dry Creek Airpark was the next destination and was coordinated through the efforts of Lee’s wife Linda. Bob and Jerri Bronson are also members of the “Historic Trail Flyers” and offered to host our stop at the airpark. They were excellent hosts, by coordinating hangar space and organizing a neighborhood BBQ. The next morning, we set off to continue our journey. 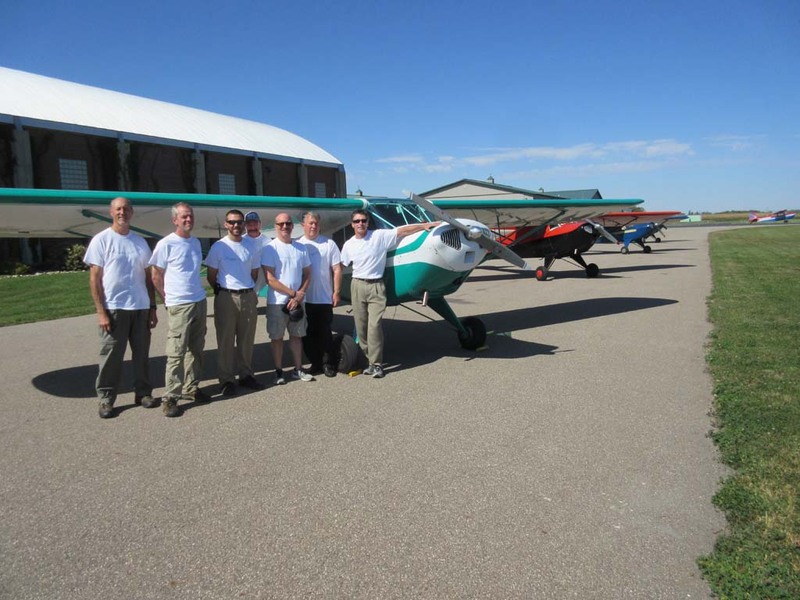 We had planned to stop at Prineville, Oregon, for fuel and to enjoy a pancake breakfast hosted by the Central Oregon EAA Chapter 617. After take-off we formed up to do a flyover of our host’s airpark. I was number one of our flight going in to Prineville, but on short final Rob called and asked for a priority landing as he was losing oil pressure. Rob secured the engine once the runway was made and had an uneventful landing. Enough energy allowed him to taxi clear of the runway. Initially, he thought the oil cap may have been loose, but there were 3.5 quarts left. The engine had been running just fine, so we propped him and taxied to the fuel pump to continue our journey to the Hood River, Oregon, Fly In. After breakfast we thought it best to research the problem a bit more before continuing over the mountainous terrain. The oil screen was removed. It didn’t take a rocket scientist to realize this plane was not going to continue on our tour. The screen had collapsed and contained more metal than any of us had ever seen. We considered ourselves fortunate that this occurred at a planned stop and not over more inhospitable terrain. The options before us were for Rob to book a flight home to England or continue on with a rental car as ground support. Neither option was desirable. 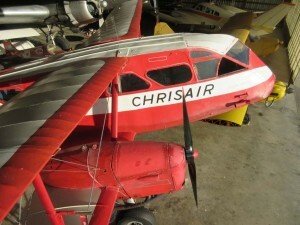 As we contemplated the possibilities, we became aware of a very nice 47’ Aeronca Chief that had a recent restoration. It had not flown for a few months, and we soon learned that the previous owner had sold it to a gentleman in the Ft. Worth, Texas, area nine months prior. 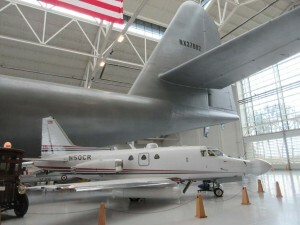 The new owner had not found a ferry pilot to make the delivery flight, and they were preparing to dismantle the plane to have it shipped to Texas. We all cringed at that thought and someone asked what our planned route was for our tour. Mike quipped, “I think we’re going to Texas!” Well, that started the ball rolling. The previous owner, Harold, contacted the new owner and offered the possibility to have the plane delivered to Texas if we were able to use it to continue our tour. Everyone agreed this would be a win/win for all involved. We found the plane was out of annual, so we assisted Eric, the local AI (authorized inspector), to prepare the aircraft for an annual inspection. With the inspection complete, Eric, also a flight instructor, checked Rob out in the Chief. Insurance arrangements were made, and we continued our tour with only a two-day delay. Our thanks go out to Bob and Jerri as our extended stay hosts and to all the members of EAA Chapter 617 who helped make our tour a success. 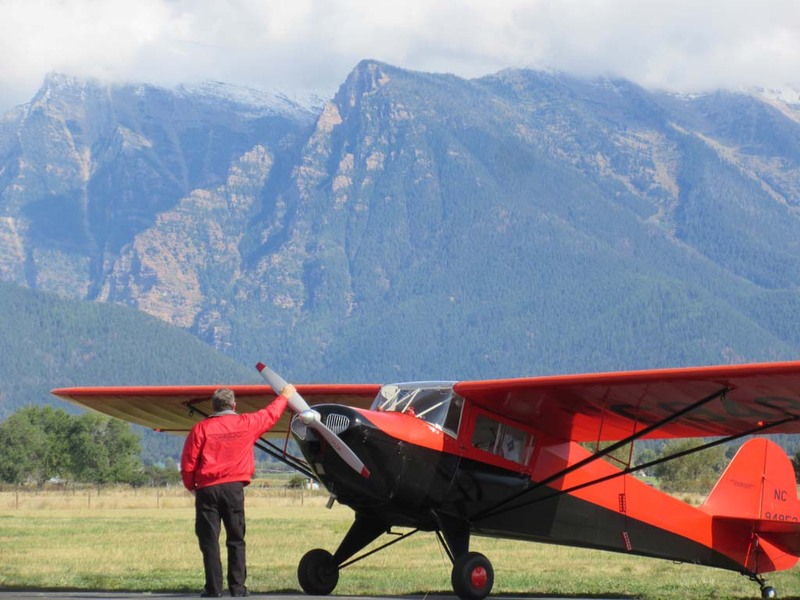 We were disappointed not to attend the Hood River Fly-In, but we still had a full schedule of some excellent aviation locations to visit. With the “new” Chief we were all set and headed off to McMinnville, Oregon, to tour the Evergreen Aviation Museum. This stop was especially significant to me as one of the aircraft on display is the experimental Sabreliner 50 in which I spent much of my career while at Rockwell Collins in Cedar Rapids, Iowa. I have many memorable hours in this aircraft during the development of TCAS (traffic collision avoidance system) and weather radar equipment along with autopilot development and many customer demonstration flights. The museum curator was gracious enough to allow us access to the interior of the plane. 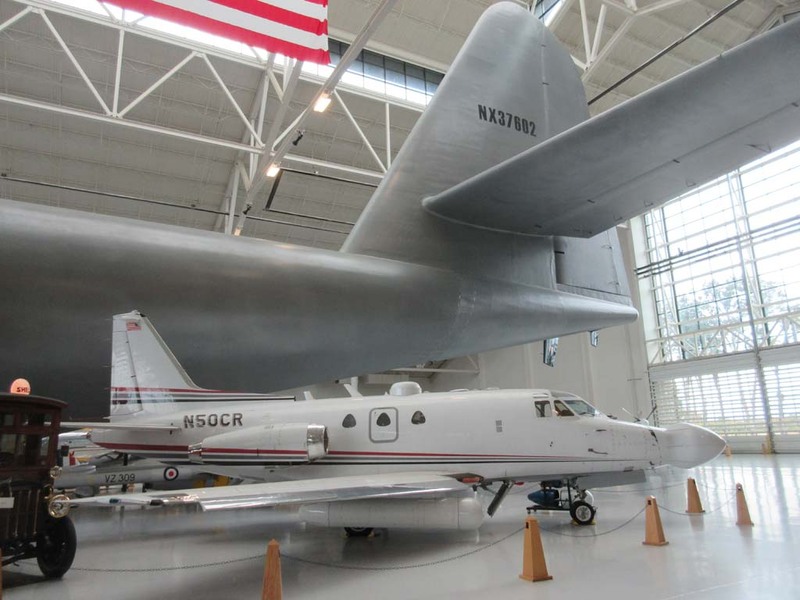 It was a pleasure to see it so prominently displayed alongside the historic Spruce Goose. 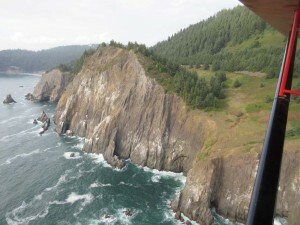 The next leg of our journey brought some spectacular scenery along the Oregon Pacific coastline. We thoroughly enjoyed this leg as we continued on to a private grass strip where we stayed the night. Rob had met Michael at OSH this year where Rob talked about our upcoming flight. Michael had flown his DC-3 in for the show and mentioned that he also owned a DeHavilland Dragon. Rob was very interested in this and Michael extended an invitation to stop in as our route brought us very near his airport. Michael’s family were excellent hosts for providing an enthusiastically consumed meal and graciously allowed us the use of their home as the night was a bit cool for our tents. We then continued to Boeing Field and the Boeing Museum of Flight. 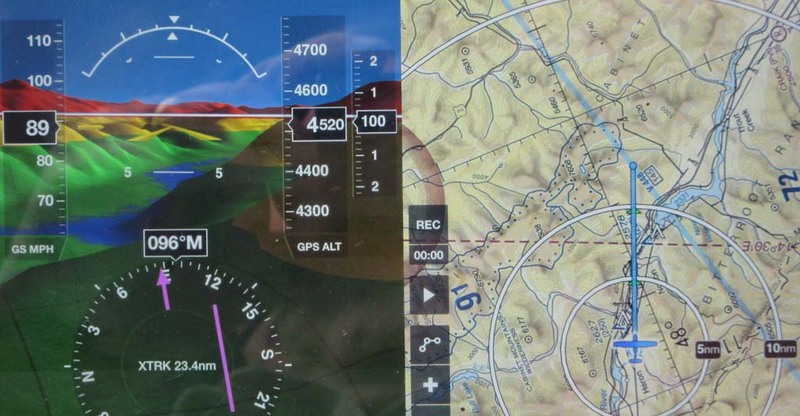 Keep in mind now that we were operating non-electrical aircraft with no transponders under the controlled airspace of the Class B veil of Seattle. This is an exemption allowed with prior contact with Air Traffic Control (ATC) and communication with approach control and tower. We were all using hand held com radios along with mini iPads. 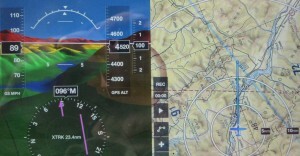 We used the ForeFlight app which I complemented with the Stratus II and a synthetic vision upgrade. 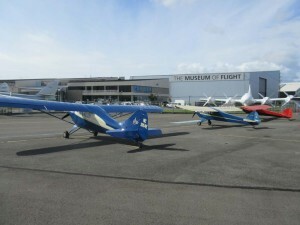 We were parked just outside the fence at the museum, so our aircraft were effectively on display during our visit. We then made the short flight to Paine Field for an RON. ATC did a great job with our flight, and we were pleased that they held a departing 747 for our arrival. 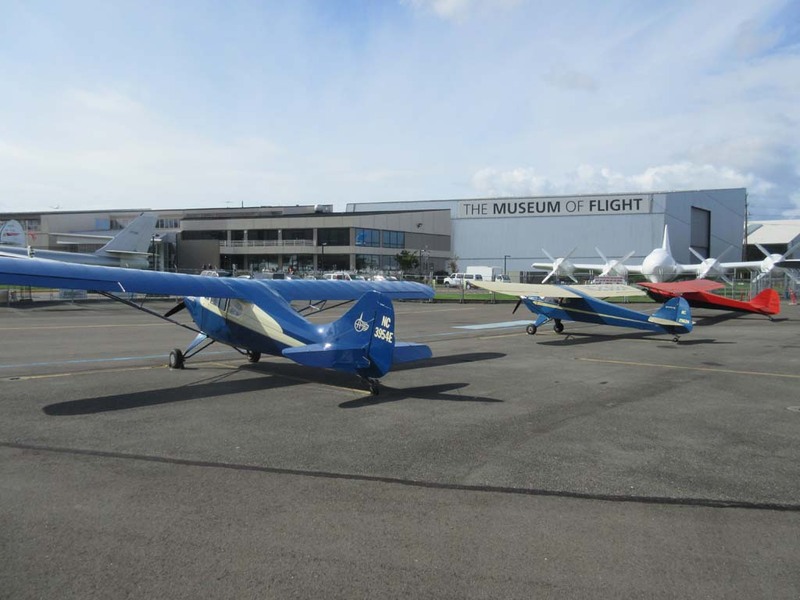 We toured the Boeing restoration facility, followed the next day with the Boeing factory tour, Paul Allen’s Flying Heritage Collection and John Session’s Historic Flight Foundation. All were excellent presentations with the last two preserving airworthy aircraft that are still flown regularly. With our delay, some showers began to show up off the coast. We decided against touring the San Juan Islands and instead chose to fly to Arlington for fuel and to have a quick visit with some friends. We then headed south, mostly along I-90, as we began our homeward journey. We had planned to stop at Felts Field in Spokane but stopped in Ephrata, Washington, as sunset was approaching. Ephrata had been a WWII military training base while more recently was the airport used in the filming of “Always” with John Goodman. The next morning brought some steady showers but visibility to the east looked good. We headed for Coeur d’Alene for fuel and breakfast. Then, with the advice of an area pilot, we flew north to the Clark Fork River valley. This brought some of the most beautiful scenery of our trip and better weather than Mullen Pass. It was an enjoyable journey as we left the Rockies behind and continued towards home. An RON in Great Falls, MT, was our second motel stay with the other in Everett, WA. We can thank Mike for his Hilton points. Tail winds were excellent on our way to Minot, ND. We had planned to tour the Dakota Aviation Museum but arrived after closing. It was our good fortune that Warren Pietsch, one of the founders of the museum, offered his time and knowledge to provide a personally guided tour. We were also generously provided overnight accommodations at his FBO. Thank you Warren. We were made aware of a flight breakfast the following morning at Beulah, ND, which was on our way home. We left first and were followed by Casey Odegaard in a P-51 and Warren in an AT-6. We had great weather and experienced a well-attended breakfast. 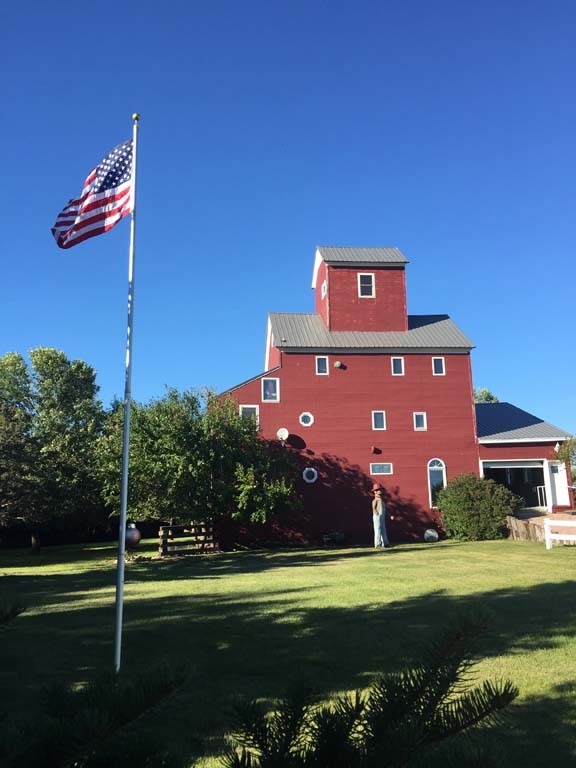 Our final overnight experience waited for us at the Wik family ranch in north central South Dakota. 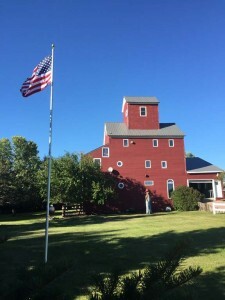 This is a very unique location as Jay Wik’s family purchased and moved an old wooden grain elevator to their farm to be used for grain storage. Jay’s father, Curt, was flying 747’s internationally for Pan Am and on his scheduled days off began using it to restore old tractors. He soon realized his work would be more pleasant if there were facilities and overnight accommodations in the elevator. Curt spent years in renovating the elevator into a very unique dwelling and has a very nice sod runway on the property making access in his Tri-Pacer much easier. For many years Curt hosted fly in breakfasts but since his passing a few years ago this has been discontinued. Jay was a wonderful host for this stop and gave us a great tour which included the history of the facility. To top off our experience, we were joined by Mark and Monte Bowden, Lee’s sons, at the conclusion of our tour. 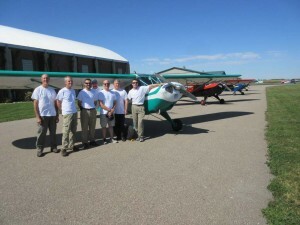 Mark was not able to join our full tour but was able to fly with us to Granite Falls, MN for a visit to Fagen’s Fighters. Mark keeps Lee’s Taylorcraft at Lee’s Summit, in the Kansas City area. 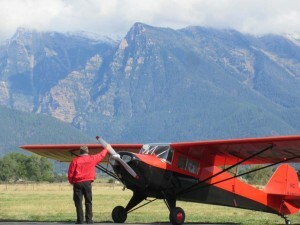 Monte flew out in a Citabria with Jonathan Walter. Lee’s enthusiasm and mentorship is what Jonathan credits for his career operating the FBO at the Independence, Iowa airport. Mark flew the lead in our formation flight to Granite Falls while Jonathan and Monte were able to get some nice formation shots. 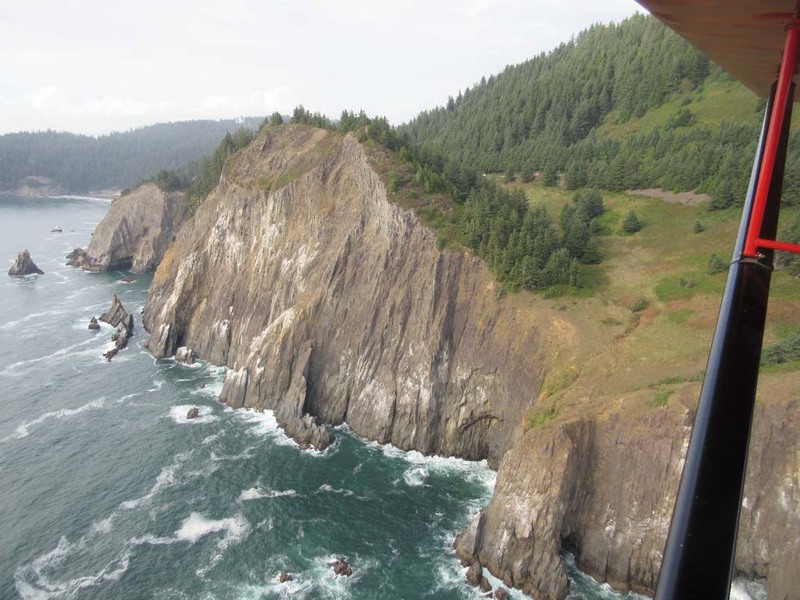 Our tour of the Pacific Northwest provided us a great and memorable experience. All things considered, we were exceptionally fortunate with good weather and great hosts. With a little divine intervention, we also avoided what could have been a much different outcome and are still amazed with the coincidence of having the plane’s mechanical issue happen at an airport with a great support group, in EAA Chapter 617, and to have a worthy replacement aircraft made available to us. One of Rob’s pistons had a broken land between the oil ring and the piston pin which scored the cylinder. Jim grew up on his parent’s airport, which he is now developing as a residential airpark. Soloing on his 16th birthday he gained his private and commercial on his 17th and 18th. Having flown commercially since 1971 he has accumulated over 25,000 hours with eleven type ratings in Gulfstreams to a Beech Starship. 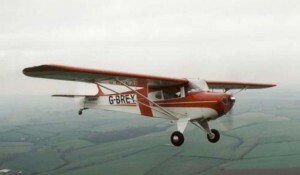 The grass roots flying that his Lindy winning Taylorcraft provides still brings enjoyment.